Jacob Zenn: In Northern Nigeria there exists a smorgasbord of radical groups many of which have not transitioned to become terrorists groups. Boko Haram is just one of these radical groups that went a little further. Jacob Zenn is an analyst of African Affairs for The Jamestown Foundation focusing on radical groups in Northern Nigeria and a Policy Advisor for the Nigerian-American Leadership Council working to leverage the diaspora community to tackle security and accountability problems in Nigeria. We met in London to discuss the current trajectory of militancy in the region. Intro: Jacob Zenn argues that whilst radical groups in Northern Nigeria are, for obvious reasons, gaining international attention at present, there are very few people working on them that specifically study the movements themselves. Specifically, Zenn is seeking to understand the distinctions between different forms of radicalism in Northern Nigeria such as that of the insurgent group “˜Boko Haram’ in the North East and the more internationalist “˜Ansaru’ which he suggests has been responsible for attacks in the North West and Middle Belt Nigeria. JZ: There is a grassroots movement in North Eastern Nigeria, commonly called Boko Haram, but almost all of the attacks that happened in the North West, such as Kaduna, Niger State and Abuja, didn’t have the characteristics of Boko Haram – those states were where the kidnapping of foreigners took place, that was also where the UN attack happened, and that was where the suicide bombings of churches happened. It was commonly said that Boko Haram carried out all of these attacks in the North West, but actually, if you do a case study of all of the major attacks in the North West you find that something doesn’t fit with the style, the targeting, the timing of what happens with militancy in the North East. A lot of what the North Eastern group of Boko Haram gets credit for in the North West is actually carried through a really interesting milieu of international groups, who carried out these suicide bombings and vehicle bombings, which are not in the style of the North Eastern group. If you look deeper into the case studies you’ll also find that whoever was the mastermind of the attacks has links to Algeria or the Sahel. Take the example of Mr McManus (a British engineer) who was killed with the Italian (Franco Lamolinara) in Sokoto in March 2012. The kidnappers in the video were all wearing veils, which is not an Nigerian style and is the style of kidnapping was very much that of AQIM, specifically Mokhtar Belmokhtar (an AQIM-affiliated commander thought to be responsible for the In Amenas attack in Jan 2013) and Abu Zaid. The group also first called themselves “˜Al Qaeda in the Lands Beyond the Sahel’ –at a time when we know that AQIM is trying to move beyond the Sahel and expand southwards. The negotiator they used was also the same one that Mokhtar Belmokhtar has used for decades – Mauritanian opposition politician and businessman Limam Chafi. MT: So what does Ansaru want that is distinct from the insurgency in North Eastern Nigeria? Yusuf, in part, gained a large following because he was an ethnic Kanuri and spoke Kanuri– a group that has for centuries been in rivalry with the Hausa Muslim elites who now dominate religious affairs in the north and who benefit more than the Kanuris in terms of the oil economy. No one has looked seriously at this ethnic dimension yet, but the Kanuri flavour is very strong – all Boko Haram’s leaders are Kanuri and people who have defected tend to be Hausa or other ethnic groups as the leadership generally picks non-Kanuris for suicide bombings. Yusuf was killed in 2009, but during the 7 years of leadership he developed a significant following. In tackling Boko Haram in 2009 the Nigerian military killed around 1000 people and arrested hundreds of others – each of these victims of the violence is going to have 10 brothers, so you’re going to have a lot of people who want revenge. Over those 7 years some Algerian jihadists also slipped into Nigeria and participated in training Yusuf’s people as well as other Nigerian jihadist aspirants. MT: Why did the Algerians get involved? AQIM had always wanted to expand south following their expulsion by the Algerian army from their traditional terrain in northern Algeria (after the end of the Algerian civil war). AQIM’s leaders, including the now semi-independent Mokhtar Belmokhtar, saw a lot of economic opportunities in the Sahel through, for example, the drug networks, cigarette smuggling and kidnapping, which really began in the 2000s with the growth in tourism and development of the energy and mining sector. Improvements in GPS technology also made it easier to be a Sahel militant – for example you could hide guns in the desert and it would be easier to find them again. The decision to expand southwards made it necessary to recruit locally – in these Sahelian and sub-Saharan countries it is very difficult to operate if you are not local. The Nigerians who were members of Mokhtar Belmokhtar’s brigade were eventually allowed to go free and do their own operations, although the Nigerian jihadist leadership remained in contact with Belmokhtar. This is how both MUJAO (Movement for Oneness and Jihad in West Africa) and Ansaru were formed. Ansaru attacks are characterised by the fact that they have all been against foreign interests – they carried out only one known attack on Nigerian interests, which was a jail break in Abuja. 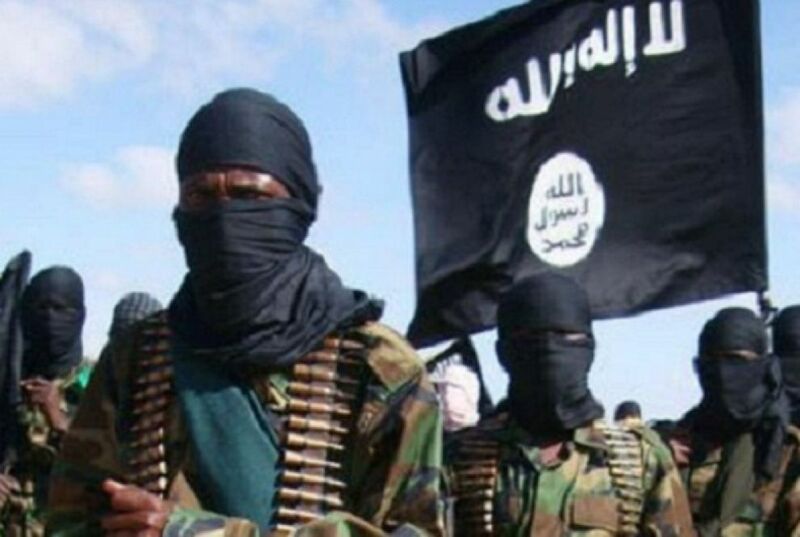 After the killing of Yusuf (by the Nigerian army) in 2009, AQIM’s leader Droukdel also issued a statement that AQIM would support Boko Haram and, following the election violence in the north in 2011, AQIM stated that it would arm them. MT: How effective operationally are Ansaru? JZ: Its kidnappings were swift and effective. The group’s original leaders were trained in Algeria under AQIM. But one of the reasons Ansaru is now struggling is that most of its leadership has been killed. MT: How well-respected are the groups in the radical Islamic world? JZ: Boko Haram has recently lost a lot of respect due to their fairly indiscriminate killing of Muslims. This is a tactic that other Al Qaeda groups have learnt is counterproductive – one reason Ansaru broke away from Boko Haram was because of these mass killings. MT: Why has Boko Haram’s operational zone been squeezed down of late and become more concentrated in the North East corner of the country? JZ: It’s actually because the perceived expansion of Boko Haram in 2010-11 into the North West was mostly the internationalist network of AQIM, namely Ansaru. Following the killing of key Ansaru leaders (and the Mali offensive) the networks broke down between Ansaru and its supporters in the Sahel, like Belmokhtar who went towards northern Africa. Boko Haram’s North East area of operations have contracted somewhat, but nonetheless there is more violence in North East Borno State than ever before. MT: Should the Nigerian military be dealing with BH and Ansaru as 2 quite distinct entities? JZ: Yes, but I don’t think they are yet dealing/grasping them in a distinct way. Boko Haram has had a lot of grassroots support – maybe even more than the government in North Eastern areas. Even though North Western networks have diminished, they could reform, particularly if the 2015 elections become violent again. MT: To what extent do Boko Haram and Ansaru talk to global Al Qaeda milieu? JZ: Boko Haram’s attempted outreach to Al Qaeda hasn’t really been reciprocated. This may be due to Boko Haram’s mass violence against Muslims. Ansaru, however, is much less of a liability. But it’s possible that Ansaru has wanted to disguise its links with Al Qaeda – it might not actually need to reach out to Al Qaeda, because it is Al Qaeda in Nigeria. There hasn’t, however, been a foreign fighter phenomenon in Nigeria and Boko Haram and Ansaru may not actually want any foreign fighters. JZ (conclusions): In Northern Nigeria there exists a smorgasbord of radical groups many of which have not transitioned to become terrorists groups. Boko Haram is just one of these radical groups that went a little further with its ban on western education and ultimately became a jihadist group. But all the radical groups have similar ideologies even those that have not made this transition to jihadism. They hate the west and the Nigerian government. In Northern Nigeria there is currently a fertile atmosphere in which radical groups can emerge. This has nothing to do with the author, but there’s no news report, analysis or academic study that suggests the World knows more about Boko Haram than it did two years ago. This makes me worried. Since we don’t know who we are fighting, how do we fight effectively? Here we are with our brains being toyed around by some groups of people claiming to be Boko Haram. There are lots of security lapses in the Nigerian government. A federal government in its entirety and with all her resources could not obtain detailed information on some minor radical sect purporting attacks on Nigerian soil. If you’ll ask me, I’d sat that there are a lot more than just Boko Haram and Ansaru; there are those who just act independently to ensure that there is continual threat to human lives in Nigeria putting the current government in jeopardy. Any suggestions of good writing that really nails down the variations in the Boko Haram phenomena? That “Boko Haram” is cover for a wide range of local actors — not all primarily Islamists — has been argued for years now. And events seem to conform to this theory. But I’ve yet to see any studies that rise above regionalist/partisan finger-pointing or vague speculation (as I guess I’m engaging in). Perhaps it is the nature of the conflict which makes this difficult to pin down, but I’d appreciate any reading list advice. Good interview, the nuances between Boko Haram, Ansaru and criminals are seldom highlighted and particularly not this well, unfortunately it is not as neat and easy to distil in the conventional media. All the points were covered except possibly the tribal historical nuance between the Kanuri North East and Hausa Fulani North West and Centre (generally speaking), the dichotomy between, sufi and salafi and almost as important the rivalries between the Sokoto Emirates and the former Kanem-Borno Empire. Boko Haram to me always had a certain Kanuri revivivalist undertone. The battle is as much for dominance of the North and then Nigeria as it is for Islamisation. And to be brutally honest even these nominal causes above are less important than using insurgency as a tool for â€˜power sharingâ€™ negotiations. Ansaru is Al-Qaeda in Nigeria. Jacob – that has always been pretty obvious.